During a marine biology lesson at Mouseford Academy, the Thea Sisters learn about a mysterious shipwreck off Whale Island. According to legend, a very rare diamond called Jasmine’s Heart was on the ship when it sank. 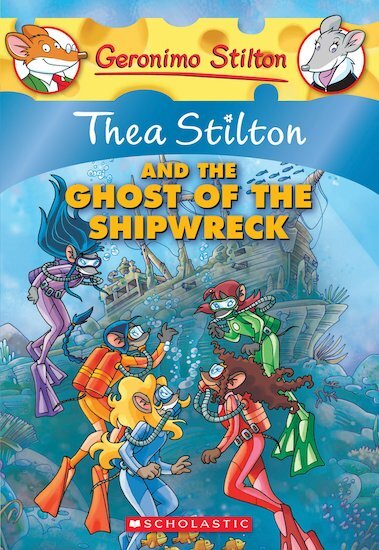 When biology teacher Professor Van Kraken disappears, the Thea Sisters must dive into the deep ocean to find him – and the jewel! And just when they think their adventures are over, the Thea Sisters receive an invitation to travel to China to find another missing treasure. It’s an adventure these five globe-trotting mice will never forget!